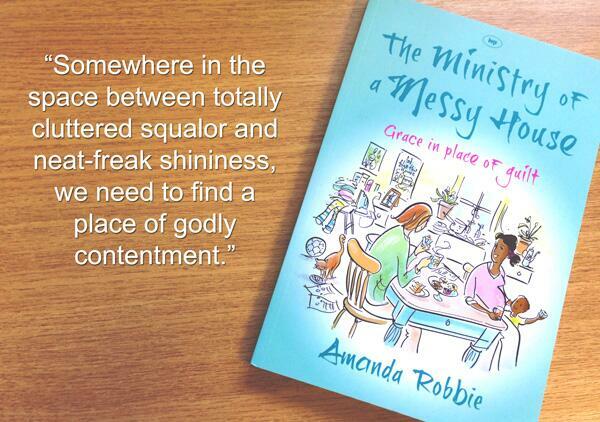 It’s more than a year since my book The Ministry of a Messy House was published. It’s been a fun year, seeing something I can’t quite believe that I produced stocked in catalogues and bookshops and conferences. I’ve had opportunities to speak on the grace of God in our messes and muddle and have a couple more speaking engagements coming up next year. People have commented encouragingly on the book here and in a few other spots on the internet. Comments have come from the UK and also further afield: Australia, New Zealand and the US I think. I think they may have sussed me out….